Diono is one of the newer car seat companies. First founded in 1999 by Brad Keller, they debuted at the Juvenile Products Manufacturers Association show. 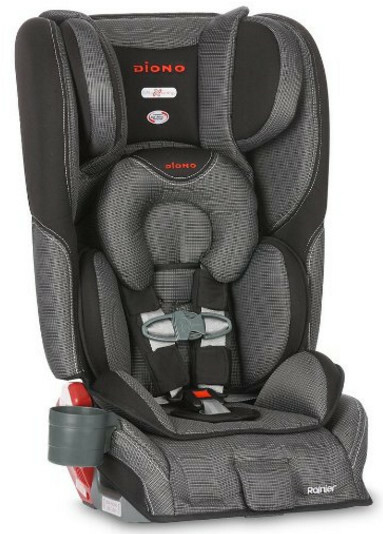 And let us say their efforts were not unappreciated, and Diono took the “Show Off” Product Innovation Award for their car seat design. In 2002, they won yet another award, this time, the “Most Innovative Product” Award. Perhaps, that was one of the reasons as to why Diono was very well taken overseas that very year. Before that, transatlantic operations were something unthinkable for Diono. Nevertheless, their car seats were sold in the UK and throughout Europe. Safe travel is what any car seat is supposed to provide. But there are some things that, while not directly relevant to the safety of the child, are still important enough to consider purchasing a car seat or, perhaps, reconsider it. Every car seat manufacturer has their own shtick, at least, the best ones. Something any given company is supposed to be good at because of concentrating their efforts. Diono’s shtick is innovation. 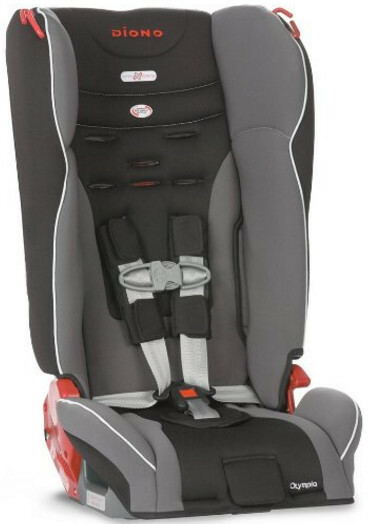 All their car seats are very advanced and include quite a number of innovative solutions. Those solutions include designs for, of course, safety, but also convenience and then style. What Diono Is All About? Safety, convenience, and design might seem important enough, and safety actually is, but a car seat company is defined by more than a mere proclamation that their car seat meet all the standards and you needs. 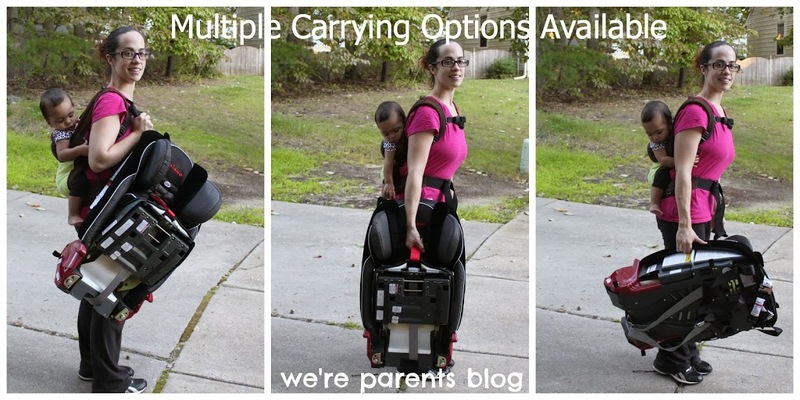 Diono manufactures convertible car seats, booster car seats, and booster combinations but also stroller accessories, anything you would need for travel and the like. What Makes Diono Stand Out? One of the problems Diono was concerned about and made the best they can to fix it is improper securement of car seats. To remedy that, they have designed and produced a seatbelt tightener. That might seem a little bit too old, but the key word in this instance is “seem”. Other brands may have been first to implement harness tightener but Diono was more concerned about the securement of seats themselves. The Mighty-Tite® seatbelt tightener is used to facilitate the process and help to make sure the car seat has been secured properly. Another feature unique to Diono is the all-encompassing steel-frame. It is not unusual for a steel frame to me included in a car seat but the sheer scale is unprecedented. 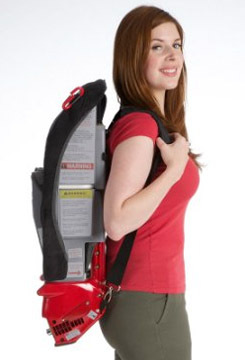 Also, Diono booster seats are known to accommodate children up to 120 lbs. That may not be quite as unique as everything else but it does make Diono stand out. 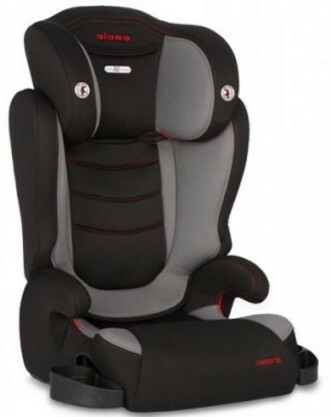 Diono is one of the most popular car seat brands. Unlike most of the others that are usually available in the U.S. and, maybe, Canada, Diono is known in exactly 54 countries, including the U.S., Canada, U.K., France, China, Hong Kong, Germany, and others. And that is not all. In those 54 countries, Diono comes with more than a hundred of their products. That is more than enough to address the needs of families who happen to live there. Diono’s goal is to help those families by providing them safety seats and perfect solutions for travel and storage. And that is why Diono is popular. When people talk about seats that “grow with your child”, they typically refer to seat meant for younger children or convertible seats of all sorts. In this case, however, we have a booster seat that does that, and that booster is the Cambria. Like most Diono car seats, the Cambria’s design is very ergonomic which makes is not just aesthetically pleasant but also safer since submarining is no longer a possibility. However, safety and protection are, of course, the primary concern. The 6-position adjustable headrest, also used to make the seat “grow with the child”, is a perfect means of protection in and of itself. The double-wall construction increases side impact protection significantly. The weight limit range is fairly large, the Cambria booster can accommodate children from 40 up to 120 lbs, similarly to many other boosters from Diono. The energy absorbing foam is a must in the event of a car crash, although it is also perfect for car crash prevention. All in all, it is a perfect inexpensive booster that would cost much less than other Diono car seats. After all, their seats are known to be not exactly cheap. Nevertheless, this particular seat is of adequate quality, perfectly safe, snug, adjustable and comfortable. A good purchase, all things considered. This seat is, in fact, a 3-in-1 set. However, before we proceed, one thing should be noted. The Rainier seat is a little bit obsolete. New seats of similar design have come up since then, and the Rainier simply cannot compete with them. But even though those seats are better than this one, the Rainier is still a very good choice. It is still one of the best car seats in terms of safety. The side impact protection is particularly well-enhanced due to exceptionally deep energy foam coated walls which are additionally aluminum reinforced. The seat, naturally, comes with a full steel frame for extra rigidness. That, in fact, is a very good thing since it prevents injuries in the event the car crashes on its roof, for instance. The weight range is, as expected from a Diono seat, very wide. The seat can accommodate children from 5 to 50 lbs in rear-facing mode, from 20 to 90 lbs in forward-facing mode, and from 50 to 120 lbs as a booster. As you can see, the weight limit is quite broad in every single instance. Comfort has not been forgotten by the designers either. 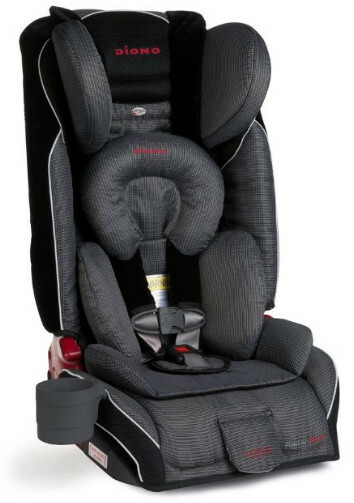 The headrest can be adjusted in 12 positions, plus the seat comes with a body pillow and infant support cushions. The Rainier is approved by the FAA for air travel. In the event you need to take it with you but not actually use it, it should be useful to know that it can be folded flat. The price is close to the average price for Diono seats, which is more than average. In its turn, the Rainier is a very comfortable, FAA-approved, and safe all-in-one car seat, if somewhat obsolete. A good purchase. If we were to point out only a single thing about the Olympia, something truly outstanding, that would be its extended period of use. This may be an all-in-one car seat, and, therefore, an extended use is to be expected. However, the lifespan is indeed quite significant. Whereas many seats last for 6 years and all-in-one seats often last for 8 years, the Olympia is designed to last for 12 years. That is enough for it to qualify as one seat a child would ever need. It is only natural that this seat is on par with other Diono seats. The same extra-deep walls for advanced side-impact protection, the same full steel frame, and the same aluminum reinforcement for the sides. The weight limits, however, are somewhat off. The Olympia can accommodate children from 5 up to 45 lbs in rear-facing mode, from 20 to 70 lbs in forward-facing mode, and from 50 and up to 110 as a booster seat. That may not be as impressive as what some other seats have, but the difference is only marginal. Even then, the seat is quite good. And, approved by the FAA, the Olympia is a perfect choice if you plan to travel by air at some point. This 3-in-1 seat is exceptionally comfortable but this is not the main reason as to why people need to choose it over others. The thing is, the comfort the seat has is only a side effect of the safety features implemented in the construction of the seat, with the exception of the layer of memory foam. It is a material primarily utilized in mattress constructions and is designed for comfort and pressure relief. A little bit more than average. It is a very safe seat but its main advantage is the level of comfort it can provide, and it is approved by the FAA as well. A perfect snug and comfortable 3-in-1 car seat, the Pacifica is one of the first choices for people who would like to give their children the best of the car seats to last for twice as long as a standard convertible car seat. Very similar to the Olympia, the Pacifica car seat, nevertheless, is somewhat different, in that aspect that it has a wider weight limit. The Pacifica can accommodate children between 5 and 50 lbs in rear-facing mode, 20 and 90 lbs in forward facing mode, and from 50 up to 120 lbs as a belt-positioning booster. Of course, it is just as well reinforced, both with a full steel frame and aluminum sides. In the event of a side impact, the risk of having debris-related injuries would be significantly decreased as opposed to riding without side impact protection and with side impact protection without extra reinforcement. The extra-deep side walls layered with energy absorbing foam are a given. After all, this is very typical for Diono seats. The memory foam padding is perfect for long-term travels since it prevents any unpleasantries typically associated with sitting for too long. The SuperLATCH makes the process of installation more secure and easier. The Pacifica can be purchased for a relatively high price but it is not nearly as expensive as some other Diono car seats. Yet another all-in-one car seat. The Radian RXT is a follow-up for the Rainier. It is very similar to that seat. One of the key features, however, is that the Radian RXT is a very compact seat. It is a perfect fit for small cars, and even if we are talking about spacious cars, they would still be able to accommodate more of them in a row. The weight limits are rather standard for Diono universal seats: 5 to 45 lbs in rear-facing mode, 20 to lbs in forward-facing mode, and up to 120 lbs as a booster seat. It is not as impressive in terms of how long it can serve, the lifespan is limited by 10 years but that is still a lot. It is actually a more arbitrary thing and even then it is an improvement compared to the original seat. The steel frame, the aluminum reinforcement of the sides, as well as energy-foam, layered walls and memory foam comforters are all included. A standard for Diono as it is. Additionally, the seat is FAA-approved. Much like most other Diono seats. 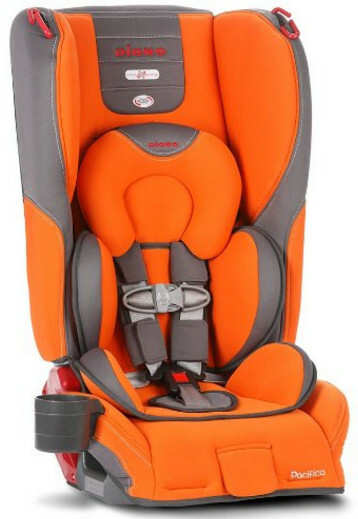 It is one of the most expensive car seats Diono has come up with but not as expensive as some other car seats are. It is a better seat than Rainier, and it is the best of Diono seats.